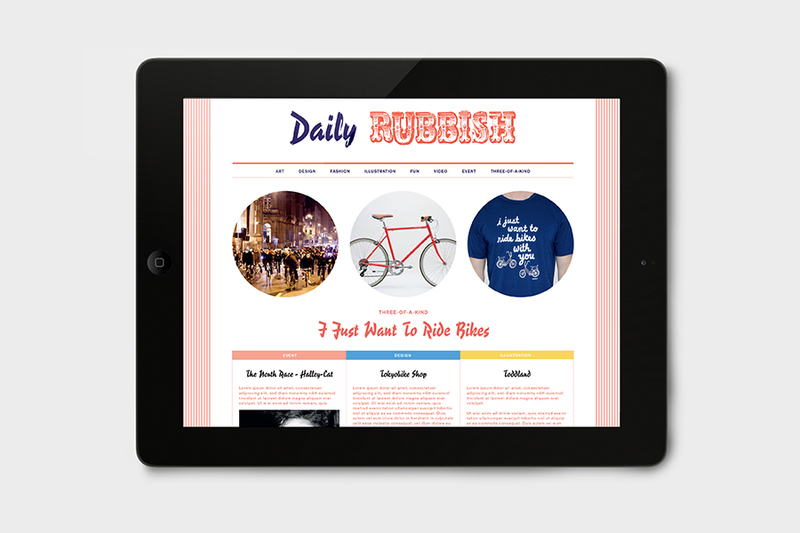 Online blog re-design for Rubbish magazine. 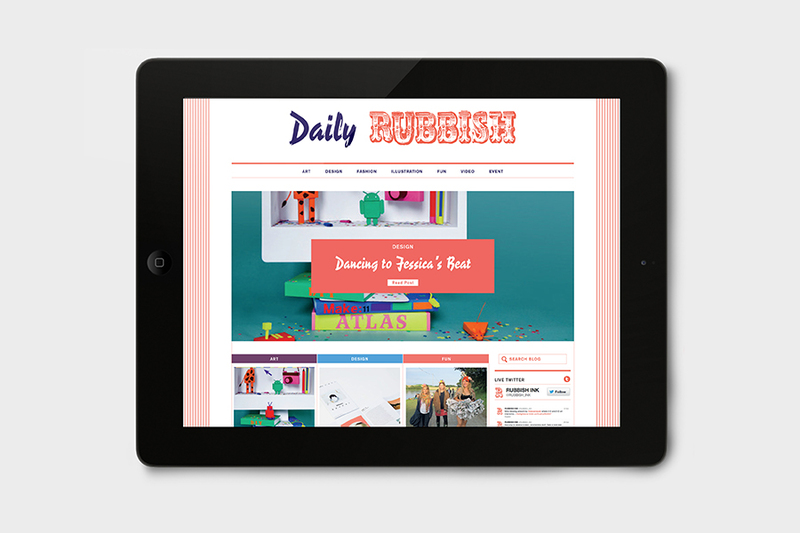 Rubbish is a playful platform for fashion and has a loyal, niche following around the world, defying any demographic with its appeal to grown-ups, teens and children alike. As the magazine is published sporadically, the blog is the an important vehicle to reach fans. 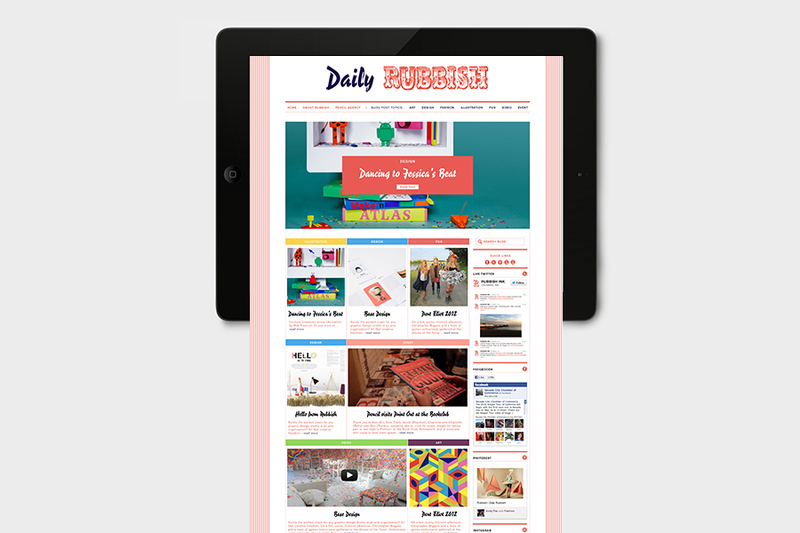 The new blog design, like the magazine is driven by fun, and utilises Rubbish's strong brand aesthetic to ensure recognisability.